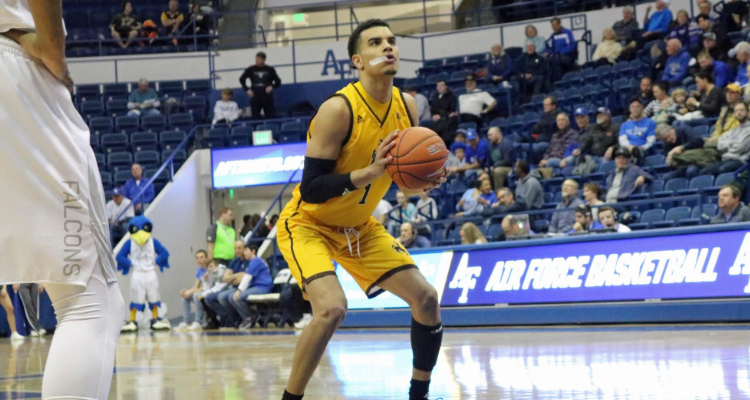 COLORADO SPRINGS, CO. – The Wyoming Cowboys sank a season-high 15 three pointers with nine in the second half, but hot shooting in the first half was just enough for the Air Force Falcons to hold on for a 81-76 win inside Clune Arena in Colorado Springs, Colo. The Falcons shot 67 percent in the first half for the highest percentage since San Diego State shot 68 percent on Feb. 19, 2013. The Pokes were led in scoring by Senior guard Justin James with 22 points. It marked the 82nd double-figures scoring game of his career and the 41st 20-plus point game in his four seasons. James also added eight rebound and nine assists nearing a rare triple double. Junior Jake Hendricks added 21 points in his return to the lineup. He hit a career-tying seven three pointers in his return. Freshman Trace Young added 15 points for his fourth game in double-figures this season. Freshman Haize Fornstrom added six points, a career-high as he hit two three-pointers late. The Pokes shot 46 percent from the field and 41 percent from behind the arc. Wyoming also added 14 assists tying a season-high. The Falcons would hold the advantage on the glass 35-25. The Falcons finished the night shooting 53 percent from the field for a season-high for a UW opponent. Air Force’s LaVelle Scottie scored 34 points for the second most by an opposing player this season after Boston College’s Ky Bowman with 38 in November. Ryan Swan and Scottie combined for the first nine points of the game for the Falcons, as Air force raced out to a 9-2 lead a little over two minutes into the game. Scottie continued to his hot play going 7-of-7 (later 11-of-11) to open the game, but three free throws from James and a triple from Hendricks, his first shot back from injury would help make it a 19-15 contest with 11:26 to play. Air Force would continue the momentum shooting 67 percent from the field through the 7:24 mark of the frame for a 26-21 advantage. The story remained the same, as the Falcons shot 67 percent in the opening frame going 20-of-30 building a lead as large as 16 points. The Pokes closed out the half strong with three triples in the final two minutes including a buzzer beater by Hendricks to make it a 44-35 Air Force at half. Shots continued to fall early for Air Force in the second half, as the Falcons built the lead back to as high as 15 points two minutes in to the half making it a 50-35 game. Wyoming responded on a 6-1 run with triples from James and Hendricks for a 51-41 game with 16 minutes left. The Falcons would maintain the double-digit advantage until a fade away three-pointer from Young made it a 56-48 contest with just under 12 minutes remaining. James would cut it to five points a minute later at 56-51 with three freebies. An 11-0 run by the Falcons would push the advantage back to double digits at 67-51 with under eight minutes to play. 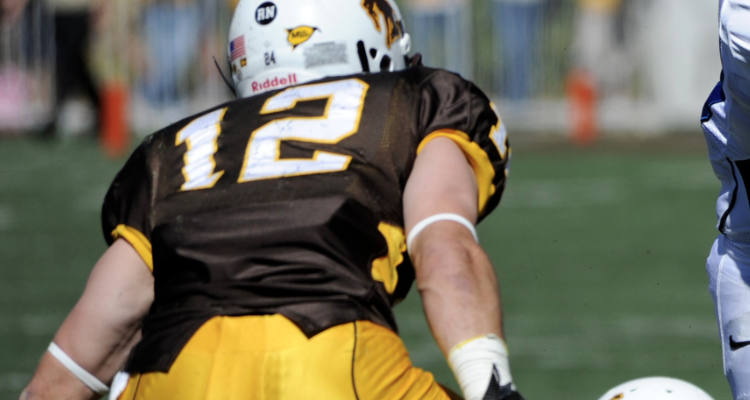 Wyoming would make three-straight field goals to make it a 69-60 game with 4:09 left. 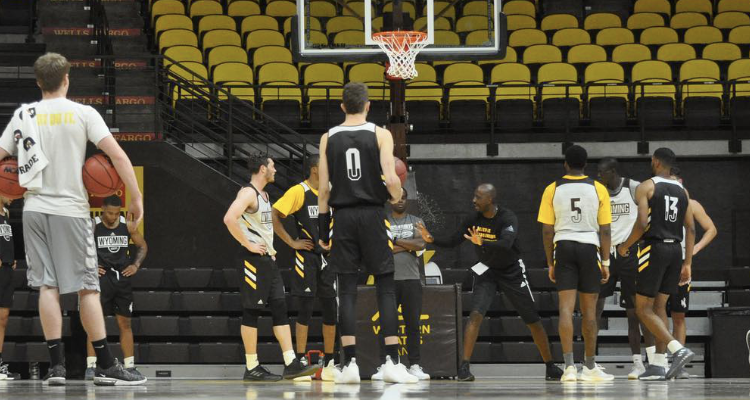 Wyoming would then begin to rack up the three pointers, as the Pokes hit five in a row with three from Hendricks and two from freshman Haize Fornstrom with the Pokes making it a three point game at 78-75 with 39 seconds left. But the Falcons made free throws late on their way to the win. Swan added 19 points going 7-of-13 from the field and added a team-high eight rebounds. 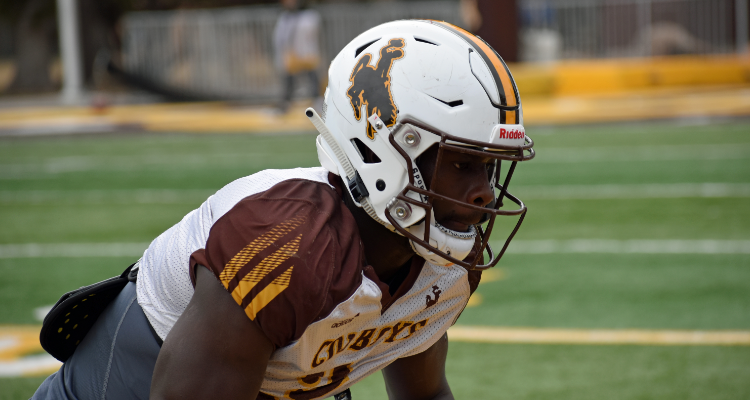 The Cowboys return to action on Saturday at High Noon for the first “Border War” contest of the season against Colorado State.